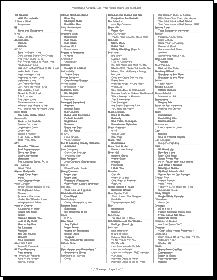 This tool will create a multi-column karaoke-style song list PDF document of songs in your Rock Band song collection. To do so, it uses information from your DLCQuickplay.com or MyRockBandSongs.com account, or from the Customs Creators Collective cache exporter tool. See the instructions further below. The songs on your karaoke list can be grouped and sorted by their artist or alphabetically by the first letter in the song's name. New songs can be highlighted. You can choose formatting for either US Letter or A4 size paper. Instructions for finding your XML address are further below. Your main console is configured in your DLCQuickplay.com account settings. Include a cover page with the latest song additions. Users of monochrome laser prints will find the "Grey" option works best. 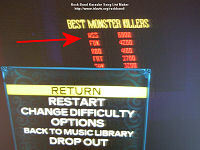 In the form above, select DLCQuickplay.com as the Source, and type your DLCQuickplay.com username into the Username field. Note: To use this tool you must create a Custom Print Booklet in your MyRockBandSong.com account, and to do so you must be a donor to that site. Login to your MyRockBandSongs.com account and select Print from the site's menu bar. Select the columns named Song, Artist, Genre, Year, and Date Purchased. These columns are required, and any other columns will be ignored by this tool. Select any Primary Sort column. Enter a name into Booklet Name to save it. Click the XML link. Copy that page's address from the address bar of your browser. In the form above, select MyRockBandSongs.com as the Source, and paste the address you copied into the XML address field. In the Customs Creators Collective cache exporter tool, export an XML file by selecting XML under Export as?. Click Create. Copy that page's address from the address bar of your browser. In the form above, select Customs Creators Collective cache exporter tool as the Source, and paste the address you copied into the XML address field. If you choose to include a cover page and it's not being included in your karaoke list, it's because the song source does not contain any "date purchased" information. For Customs Creators Collective visitors. Thanks to Jeff Atwood for the gift of Microsoft Points! Thanks to Alexander Guevara for the gift of Microsoft Points! Thanks to Brett Nicholson for the gift of cold, hard cash! Disable any "Page Scaling" or "Fit To Page" adjustments in your PDF viewer to ensure that the full page is used. Adobe Acrobat is slow and bloated. For Windows, try Foxit Reader instead. Thanks to non_zero for DLCQuickplay.com, to rob for MyRockBandSongs.com, to Tommy for RockBandAide.com, to Jeff Atwood for FakePlasticRock.com, to Andy Sage for Customs Creators Collective, and to msignore, pmpboarder, and risser for making useful suggestions. 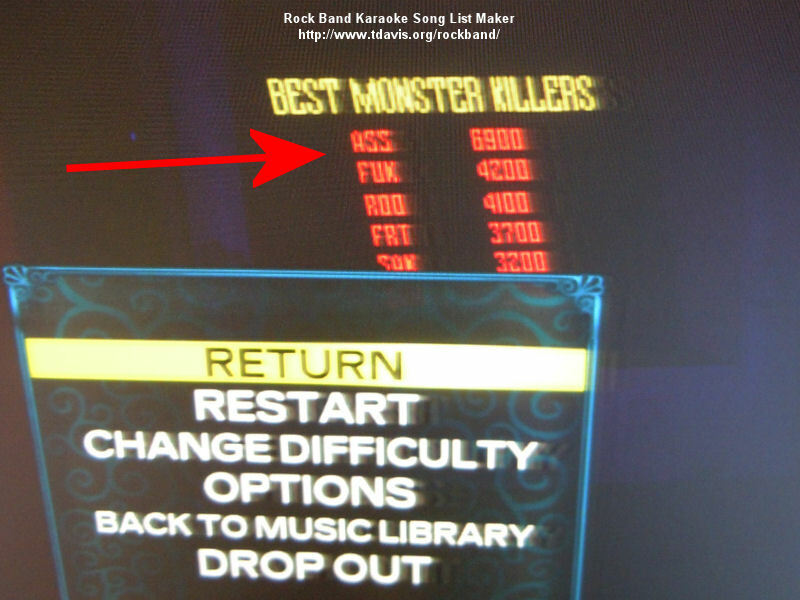 Rock Band Karaoke Song List Maker · 13,440 karaoke lists made to date!